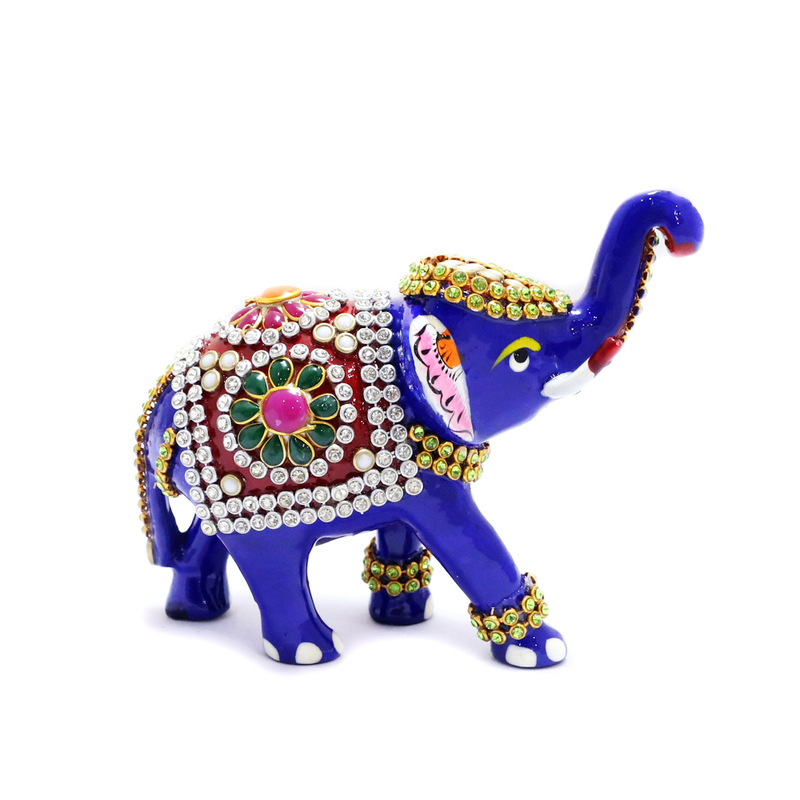 This royal blue elephant showpiece comes with Stone designs and meena work. With densely sculpted designs, this showpiece looks both royal and elegant. 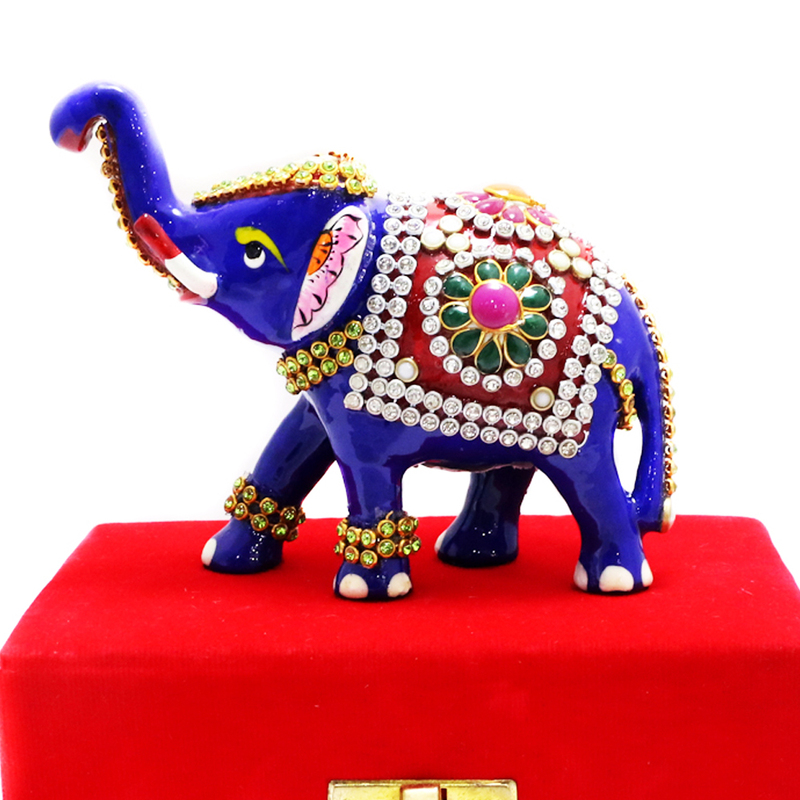 This showpiece Read More..comes in a red velvet box. 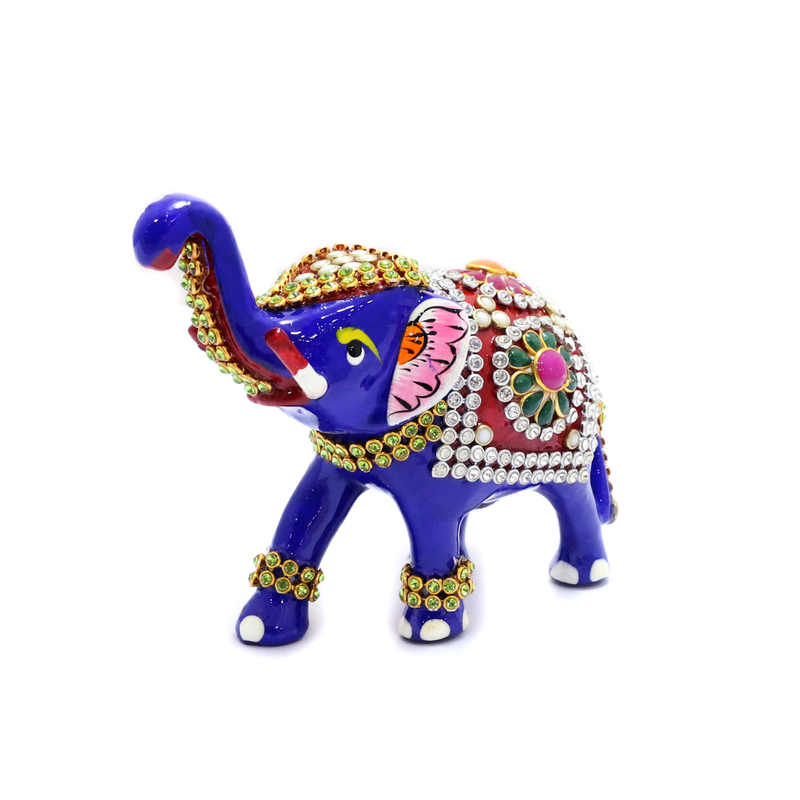 This elephant is a good sign signifying health and prosperity. Show Less..